As with any plant, pea plants need sun but prefer cooler temperatures for truly bumper crops. Relatively easy to grow within these parameters, there are several things that notoriously afflict them, causing yellow leaves on pea plants. 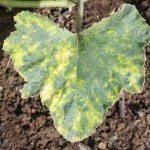 Should your pea plants yellow at the base and are looking generally unhealthy or if you have a pea plant turning yellow and dying altogether, I’m sure you are wondering why and what can be done. Why is My Pea Plant Yellow? There are several possibilities to answer the question, “Why is my pea plant yellow?” Fusarium wilt, root rot, Ascochyta blight and downy mildew are all fungi that may afflict these crops and result in the yellowing pea plants. Fusarium wilt – Fusarium wilt causes the yellowing of pea plants’ foliage, stunting and wilting of the entire plant. The base of the stem, however, is not affected. The fungus lives in the soil and enters through the roots of the pea plant. There are Fusarium resistant varieties of pea that will be marked with an F, which is advisable to plant if this seems to be an issue in your garden. Crop rotation and the removal and destruction of infected plants are also deterrents to Fusarium wilt. Root rot – Root rot is also a soil borne fungi that affects peas. Pea plants yellow at the base of the plant, stems wither and eventually die back. Spores are dispersed through contact, wind and water, and the fungus overwinters in garden debris, waiting to afflict new plants in the spring. Preventative measures for root rot are to plant in well draining soil, avoid over watering, rotate crops, allow adequate space between plants, purchase disease free seeds and/or those treated with a fungicide and remove and destroy affected plants. 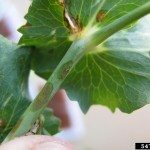 Downy mildew – Downy mildew causes other discoloration but also shows as yellowing lesions on pea plants with a gray powder or mold on the underside and dark spots on the pods. To eradicate this fungi, air circulation is of most importance, rotate crops every four years, maintain a debris-free garden, plant resistant seeds and remove and destroy any infected plants. Ascochyta blight – Lastly, Ascochyta blight may be to blame for a pea plant turning yellow and dying. 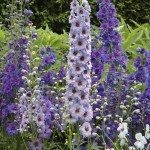 Yet another fungal disease and made up of three different fungi, it over winters in plant debris or enters the garden in the spring in infected seeds. Rain and wind in the spring serves to spread the infection to healthy plants. Symptoms of Ascochyta blight vary depending upon the fungus causing the infection, anywhere from stem blackening, bud drop, and yellow or brown spots on foliage. To manage Ascochyta blight, remove and dispose of infected plants, rotate crops yearly, and plant commercially grown disease-free seeds. There are no resistant cultivars or fungicides for Ascochyta blight.